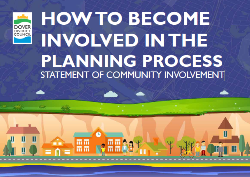 Dover District Council, who are the planning authority responsible for Deal and Walmer, have produced a ‘statement of community involvement’ which states how they will involve the community in planning decisions. It also serves as a useful introduction to the planning process. The document can be downloaded by clicking the image to the right ( pdf 7Mb).